Starting from when I could barely fit a video game controller into my hand, I have had the luxury of playing so many different types of games and different cult classics, and from that I was able to develop the appreciation I have for these games from a very early age. Given I was born in 1995, I didn't realistically start playing any manner of games for at least a couple years until I was around 4 or 5 with my father and our close family friend Casey (who was like a brother to my dad anyways), where my strongest memory resides in my dad handing me the Nintendo 64 controller to fight Gohma at the bottom of the Deku Tree in The Legend of Zelda: Ocarina of Time. Now the point I'm getting at with this, is that this is one of the first games I ever had a very strong familiarity with, and had the opportunity to play from the very beginning of my video game career. I always had the "new" (for their time) systems around to play because my dad would "buy them for me" when I was a kid, even though I knew it was really for him to play because he was an even larger video game buff than I was, so I had a lot at my disposal. My dad had me start out with a lot of the most popular games, such as Final Fantasy 3 & 4, Super Metroid, the original Mario, Yoshi's Island, and of course, the Legend of Zelda. Now I'm not gonna lie. Playing the original game on the NES as a little kid really didn't foster any appreciation towards the game as I could have had. I was raised around the time that the Playstation and N64 had been around for just a little while, so being around these 3D games was something that I was thinking to be fairly normal. Now I still played the SNES with my dad a lot, but the NES was a system that I wouldn't really think to touch for a very long time (where the only game I can really think of playing a lot on the NES was either Marble Madness or Ducktales (cause I liked the soundtrack a LOT). However after playing a bit of Ocarina of Time, and eventually Majora's Mask (which to this day is still one of my all time favorite games), I wanted to delve a little deeper and see what the other games were like. 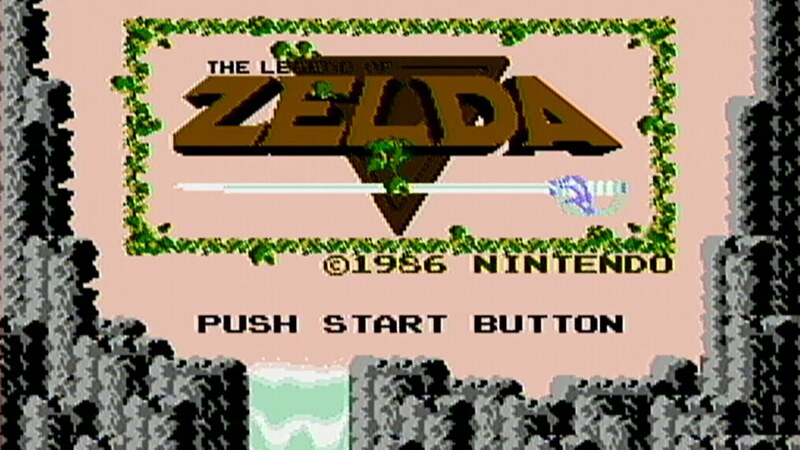 Now for the original Legend of Zelda, there was practically no guidance on where you were supposed to go, other than starting in the overworld and seeing a cave that (you would assume) you had to go into. And all of a sudden, you're empowered because you have the sword. And then the adventure begins. 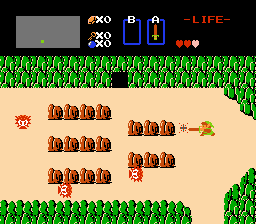 You begin to make transition to the other screens, and you will most likely find some octoroks, and quickly find out that they are the enemy and you go through and kill them (in defense of course). But it was so interesting! There was so much that I had to learn on my own, but the skillcap was very apparent, and the goal in mind was very simple. You have a sword, you go around and find enemies. You kill these enemies, then you find the dungeon. You go inside the dungeon, progress to the boss. 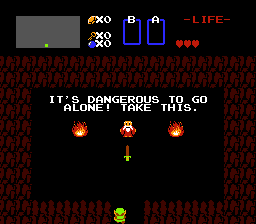 The boss is this dinosaur dude, and you kill him, you get a heart container, and you get a piece of the triforce. It was an extremely simple concept, yet it felt so complex because to me, the world was massive and I had so many places to explore. I eventually found out about hidden rooms and the like after watching some throwback game highlights on channels like G4TV with their shows like Cheat! and X-Play with Adam Sessler and Morgan Webb (where when I just think of the name, I have to follow it with the hosts. It just feels natural after watching it for so long!). There was so much depth jam packed into this game, that there was so much to discover. And for a long time, the ending to the game made me feel so amazing as a kid. 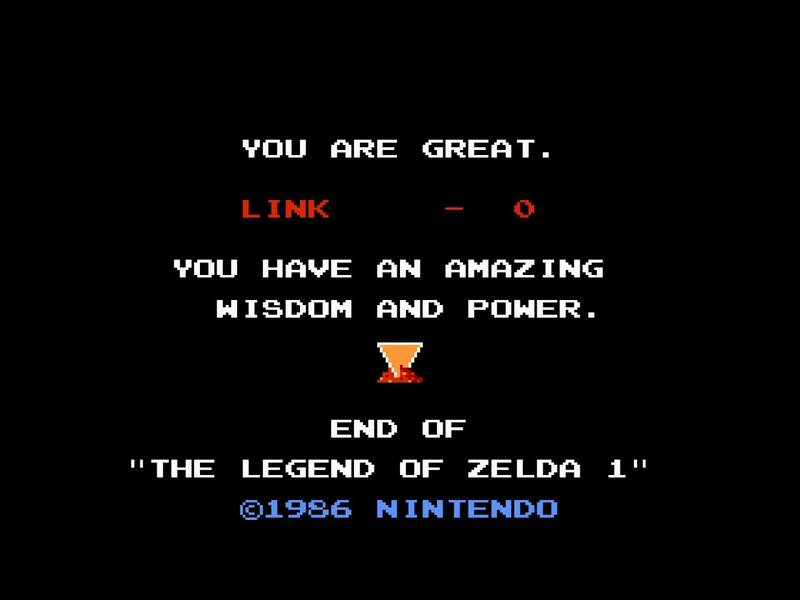 From the very beginning, the Legend of Zelda games have always filled me with so much joy and wonder, and I'm always on top of playing each and every game as much as possible to try to find every little thing about the game. Some I can say I played them just to beat them, like Spirit Tracks, Phantom Hourlass, Link's Crossbow Training, or even the best game to exist: Zelda II: The Adventures of Link (which I only beat last year because the game is so excruciatingly difficult). Others I played them because I loved them so much that I just wanted to do every single thing. I have the route for Majora's Mask memorized to 100% the game in only a couple hours, or to collect every mask in a very quick amount of time. 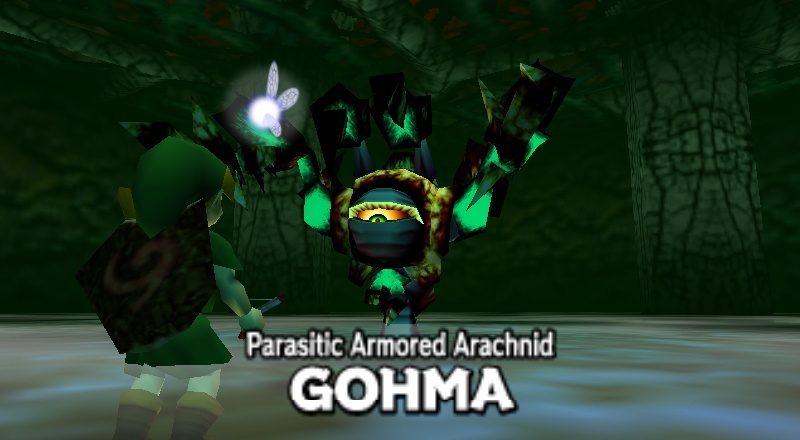 Twilight Princess I spent so much time on to collect all Poe Souls, Heart Containers, Golden Bugs, and eventually destroy Ganon with the Magic Armor equipped. The only other game I can think of that I spent just about the same amount of time (if not more) just to find all of the secrets, would probably be the Metroid games, like Super Metroid, Metroid Fusion, Prime I & II, or Other M.
Regardless of the game though, I have been infatuated from the series from a very early age, and the Legend of Zelda, to this day, is still one of my all time favorite franchises to date. Now I simply cannot wait for Zelda Wii U to come out, however it does seem like it will be coming out for the inevitable release of the NX, but I guess it's just something I'll have to wait on! But aside from that, the most memorable pieces to all of the games would be probably summed up to 3 things. The musical score, because it's great, and whenever Twilight Princess was first announced, I had literal tears because the orchestrated music was so beautiful. The puzzles, because they're everywhere, and whether it's a time trial to obtain the Big Goron Sword in OoT, trying to find the correct push block in the NES game, or realizing that you never picked up the Ice Rod when fighting the twin headed boss in A Link to the Past, they're always having me stretch my thought processes and thinking of what I an do next. 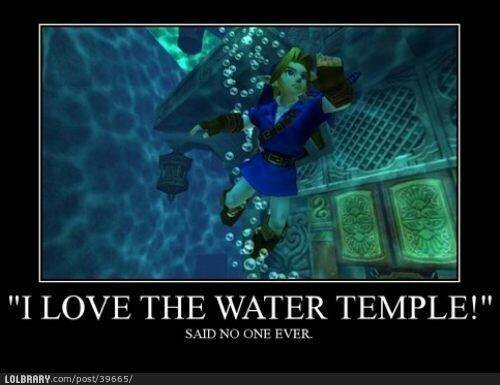 And there are so many cool puzzles in the games, for better or worse of course, like the Water Temple in OoT, or the Gale Boomerang puzzle in the first dungeon in Twilight princess where you need to look at the ground to see the pattern you have to make. Finally, it would be the sense of accomplishment. You saved Princess Zelda. You saved Hyrule. You saved this kingdom, that would have surely fallen if it were not for the hero clad in green. "I want you to live for the future. But despite that, you must look forward and walk a path of hope, trusting that it will sustain you when darkness comes." These are the things I have lived by from a very young age, and still draw inspiration for me even later in life. In the face of adversity, we will have to remain adamant and fight for what is right. We can be the hero, because we are the heroes in our own story. It may not be as extravagant of the hero traveling through time and legend, in a garb as green as the fields, but rather, we have the liberty of writing our own destiny.